We’ve just got a really quick newsletter this week and a lot of projects. If you are still waiting on an order, we anticipate shipping the final batch during the week of August 20th. We are waiting on some final parts to arrive before we can ship. Namely, we have a shipment of arduino shields that should ship to us on August 16th. They’ll be coming our way in an expedited shipment, so hopefully we have them by early in the third week of August so we can get the final kits shipped out! As always, you will receive an email with a tracking number around the time your kit will ship. There may be a few day lag between when we send you a tracking number and when the kit actually gets put in the mail because we want to start printing shipping labels early to make packing the boxes go quickly, so please be patient if your tracking information doesn’t update for the first few days. We promise that once you receive that tracking number we’ll be trying to get your kit out the door as quickly as possible! We expect to sell out in the next few days so if you want to get in on this batch now is the time! The forums are teaming with great projects these days. Here are some of our favorites since the last newsletter. 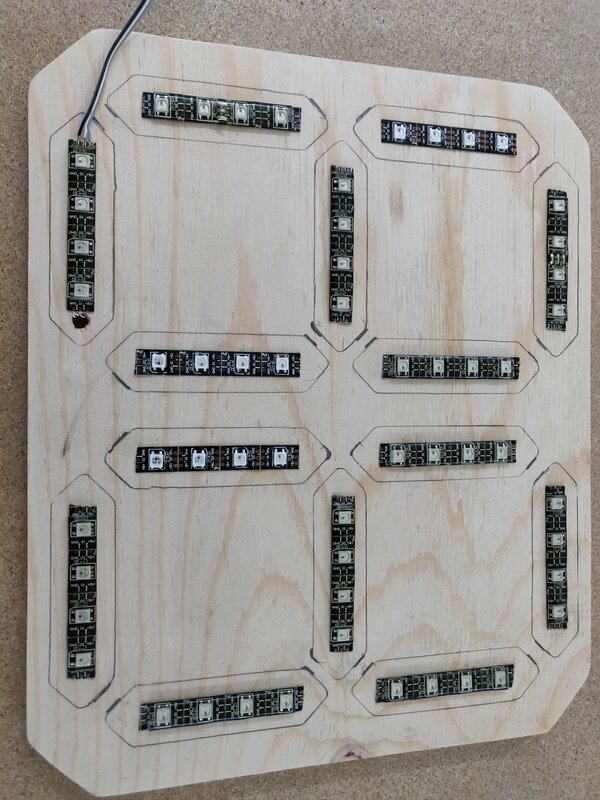 HansPeterHaastrup used his Maslow to create a giant seven segment display which he is using to show the current z-axis position of his machine. It sniffs the serial traffic from the machine to read position and changes from green to red to indicate positive and negative. Very impressive! 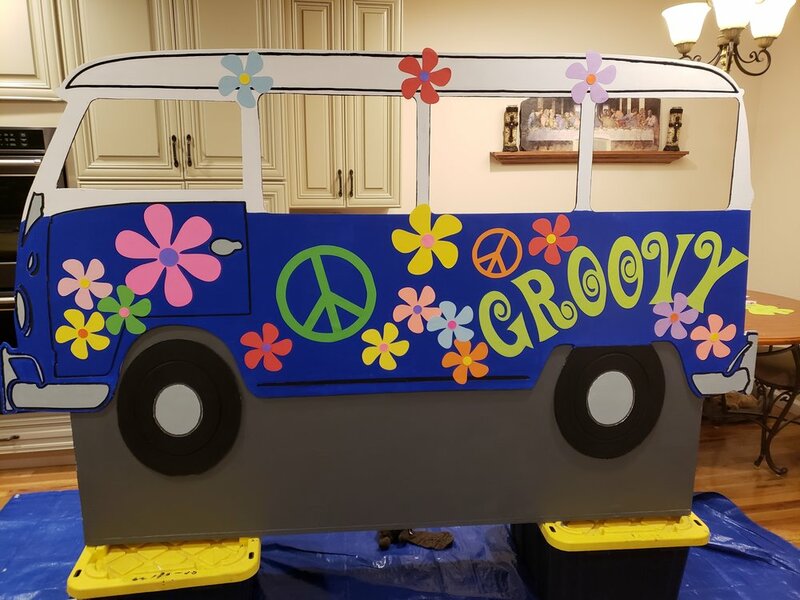 Jimsebaatian continued the tradition of using Maslow to make thoughtful things for others by creating this fun VW Bus photo booth to be a part of his wife’s birthday party. 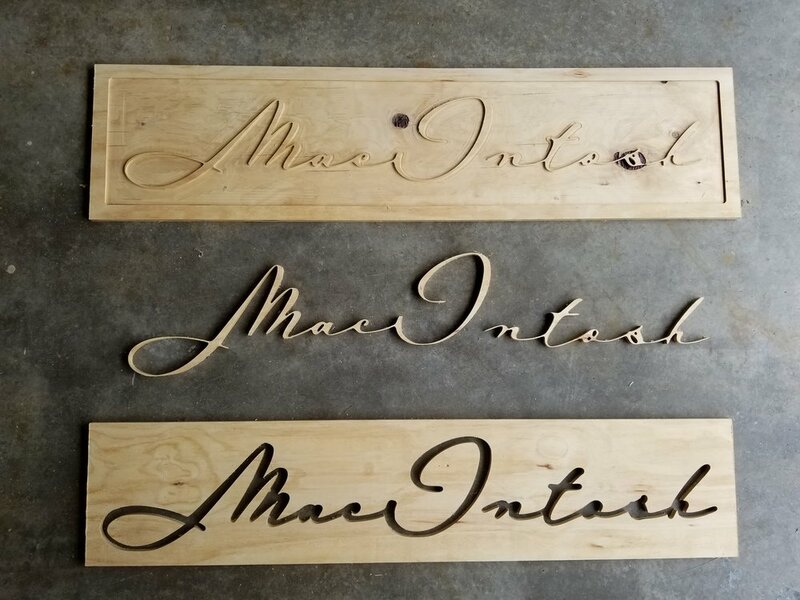 S.Keehn made this very impressive sign by engraving to different depths to assist with painting. I think we can all agree that the paint work came out really well! As usual ScrumdyBum produced an incredible collection of projects including a beautifully done sign for a friend of her name, and some corn hole boards in the shape of Wisconsin. 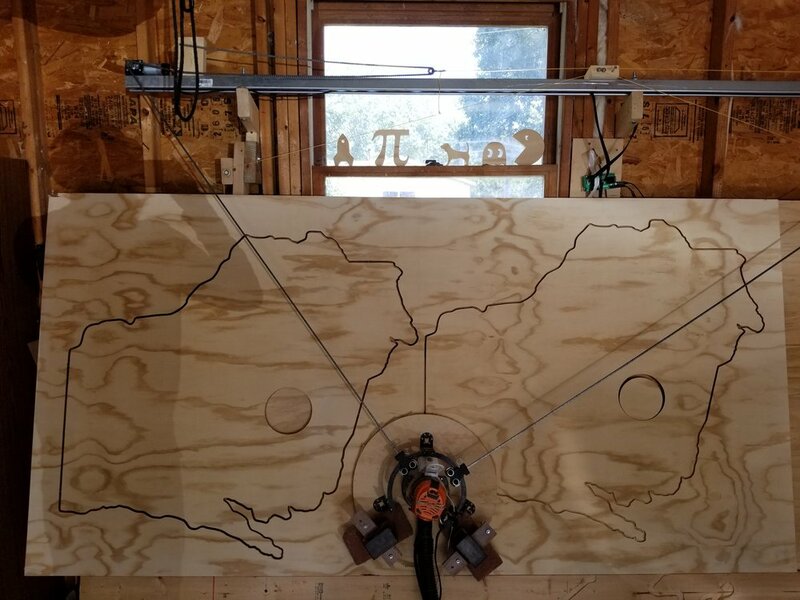 Simon_makes produced a new sign for his shop wall and put together a very nice video on the build. Give it a thumbs up! And finally Tim made this beautiful elephant cutout which he plans to inlay with colored glass. Can’t wait to see the final version of that one!